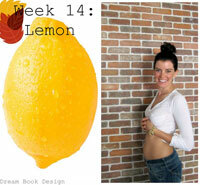 24 Weeks Pregnant - Is There any Great Change in the Mother and Baby? Home || Pregnancy Week by Week || 24 Weeks Pregnant – Is There any Great Change in the Mother and Baby? 24 Weeks Pregnant – Is There any Great Change in the Mother and Baby? Past the week 23; now, you are at 24 weeks pregnant. What is happening in this stage of your pregnancy? 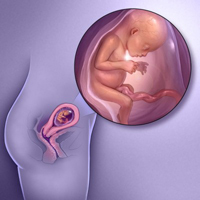 How your baby is developing? The unborn child weighs more than 600g and is starting to fill the space in the mother’s womb. From crown to heel, he could measure about 30cm. Though your baby still has little body fat and his skin is thin & fragile, he’s well-proportioned. You’ll realize that his brain is growing rapidly, his taste buds have fully developed, as well as his footprints and fingerprints are continuing to form. 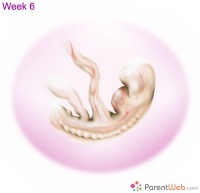 As we are discussing about the fatal development in week 24, you may want to know carefully how your baby’s growing. He’s having gained about 4 ounces since last week that puts him at about 1 1/3 pounds (600 grams). He has the length as similar as an ear of corn. Inside his little body, his lungs are developing ‘branches’ of the respiratory tree and cells that help producing surfactant. This substance will support the baby’s air sacs inflate once hitting the outside world. You may feel jumps as the baby has bouts of hiccups; in fact, it seems like he’s in perpetual motion. 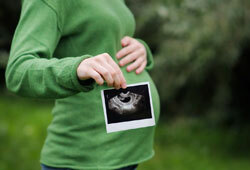 Some now kick in response to sounds and touch from the outside the uterus. *Fetus note: If you decide to give birth at week 24, the baby would have about a 50% chance of surviving. What is Happening to the Mother? You may notice the stretch marks on your belly, hips, and breasts. Also, some faint, red, or brown streaks (aka ‘striae‘) start displaying on your body. Whereas creams won’t erase them, wearing a supportive bra could help preventing or minimizing these reddish spots on your breasts. No need to worry – they are very common at this stage of the pregnancy (about 90% of women get them). The brown pigmentation in the stretch marks gradually fades and the streaks become lighter than the surrounding skin after you’ve given birth. Your eyes, also, may be light-sensitive, gritty, and dry. This is a normal pregnancy issue known as ‘dry eye syndrome’. The best ways are to rest your eyes as much as possible, and keep them clean with cotton wool and warm water. When talking about changes in pregnancy week 24, it’s a must to remind you your uterus’s size. In this stage, it’s about 1 1/2 to 2 inches above your button belly; and, your bump is definitely apparent and difficult to disguise. The majority of expectant mothers may be suffering from muscle aches, heartburn, fatigue, sore feet, and dizziness. Ask for your care provider’s help if you faint as it could be a sign of anemia. Low blood sugar or standing up too fast often causes dizziness, so eat regularly and rise slowly. A healthy diet is still important at this stage of pregnancy. Though you’re reaching at 24 weeks pregnant, you may have trouble sleeping and feel tired. Everything is normal, so don’t fret. Ask us if you have any confusing question about the pregnancy week 24.